Facebook has over a billion users. It’s the second-most popular website in the world Millions Of People Think They Use Facebook, But Not The Internet Millions Of People Think They Use Facebook, But Not The Internet Millions of people say they don't use the Internet, but talk enthusiastically about Facebook. How has this monopoly of the World Wide Web come about? And what wider implications does it have? Read More behind Google, and it pioneered the social media craze. This guide is available to download as a free PDF. Download How to Use Facebook now. Feel free to copy and share this with your friends and family. Whether you’re baffled by all the changes or are just signing up for a Facebook account, we’ll show you everything you need to use Facebook. Note: This guide covers using Facebook on the web. You can, of course, browse Facebook on mobile too. Many of these instructions apply to the smartphone apps, though certain elements appear in different places. Let’s discuss some basics of what Facebook is and get you set up with your own account. Facebook is the most popular social networking site today. 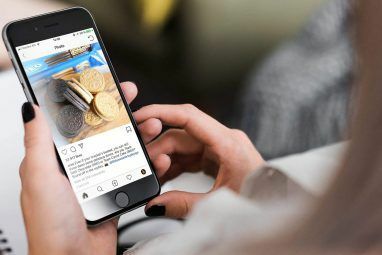 It allows you to connect with friends from all over the world and share text updates, photos, videos, and more. You control what you share with others, and can follow public interest accounts to get their updates too. Much more than simple social networking, Facebook is also a platform. It hosts all kinds of apps and games Connecting Games To Facebook -- What's In It For You? Connecting Games To Facebook -- What's In It For You? You're in the zone on your favorite puzzle game. You catch the false move that would have doomed you before you commit to it, and a moment later, you finally seize sweet victory! Read More , and you can sign into tons of sites and services across the web using your Facebook account. Groups let people of similar interests organize, and Facebook Messenger is a robust messaging platform that provides an alternative to SMS. How Much Does Facebook Cost? Facebook is free and will never charge you to use it. 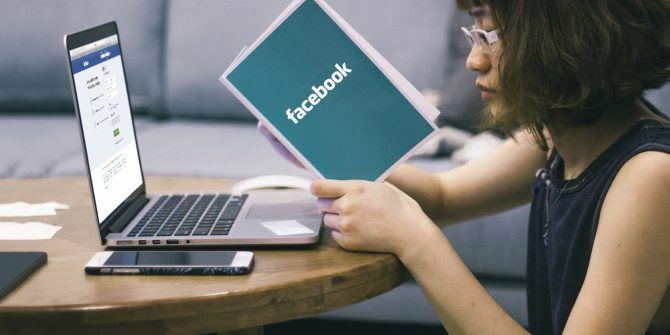 Any posts or notices you see about Facebook starting to cost money (or other tired hoaxes The Essential Steps To Identify & Avoid Facebook Hoaxes The Essential Steps To Identify & Avoid Facebook Hoaxes Everyone has been caught out at some point by Facebook scams. But just how dangerous can they be, really? We've listed some of the most common Facebook hoaxes to be aware of and avoid. Read More ) are untrue. However, just because Facebook doesn’t have a price tag doesn’t mean you aren’t giving up anything to use it. Facebook makes an astronomical amount of money from advertising How Facebook Makes Money and the Economics of Social Networks How Facebook Makes Money and the Economics of Social Networks Facebook has become one of the world's largest companies. It generates insane revenues, and holds a significant amount of data on anyone that has signed up. But where does all that money come from? Read More , and it tracks your habits and interests to serve you more relevant ads. Visit Facebook’s signup page. Provide your first and last name, email address or phone number, and a password (make sure it’s strong How to Create a Strong Password That You Will Not Forget How to Create a Strong Password That You Will Not Forget Do you know how to create and remember a good password? Here are some tips and tricks to maintain strong, separate passwords for all of your online accounts. Read More ). You’ll also need to provide your birthday, which Facebook uses to “make sure you get the right Facebook experience for your age”. We’ll cover hiding this and other sensitive information soon. Select your gender, then choose Create Account. Next, Facebook wants to help you find friends right away. From here, you can click your name at the top of the screen anytime to skip the Getting Started steps and jump right in. You’ll see prompts to check your Gmail, Yahoo, Outlook, or other email account The 6 Most Popular Email Providers Other Than Gmail and Yahoo The 6 Most Popular Email Providers Other Than Gmail and Yahoo Each email provider listed here offers different benefits, but each of these email services is also highly popular with its users. Read More for friends’ email addresses. Click the Find Friends button underneath your email address for suggestions, and hit Next when done. Facebook then asks you to add your mobile number. If you don’t mind providing it, this is a good idea as you can use it to recover your account if you ever lose access. Enter your country code and phone number, then click Add Phone Number. Facebook will send you a text to confirm. Click Next when done. Finally, Facebook will bring you to a page with a few elements like finding friends, reviewing privacy settings, and adding a profile picture. You can complete these now, but we’ll cover them in this guide as well. To confirm your account, open your email and find a message from Facebook. Click the Confirm Your Account button and you’re all set. Now that you have an account, let’s go over the essentials like adding a profile picture, finding friends, and posting status updates. Before you add friends, you should set a profile picture for your account. Due to the amount of spam on Facebook, someone might think you’re a fake account Facebook Friend Requests: Unwritten Rules & Hidden Settings Facebook Friend Requests: Unwritten Rules & Hidden Settings On Facebook, innocent mistakes can lead to drastic consequences. Novices face many stumbling blocks. But with our Facebook friend request tips, you can avoid unintentional punishment. Read More if you don’t use a real photo. Visit your profile page by clicking your name in the top bar. To the left of your name, mouse over the generic photo and select Update Profile Picture to set a good one. You can choose a picture you’ve already uploaded to Facebook, but as a new account, you won’t have any. Thus you should click Upload Photo and choose a picture of you from your PC. Depending on the season, you might see some Frames that you can add to your picture. These include sports teams, holiday celebrations, and the like. If you use a frame, you can automatically switch back to your old profile picture after a time. Your cover photo at the top of your Timeline isn’t as important as your profile photo, but it’s still an easy way to dress up your page The 6 Best Places To Design Your Own Facebook Timeline Cover For Free The 6 Best Places To Design Your Own Facebook Timeline Cover For Free If you’ve failed to create an enticing cover photo for yourself or your Facebook Page, don’t worry. It’s never too late to start. Here are six free web apps that can help. Read More . Mouse over the camera icon in the top-left corner of the blank photo and select Update Cover Photo. Since you don’t have any pictures on Facebook yet, select Upload Photo… and add a new picture from your computer. Facebook recommends a resolution of 851 x 315 pixels for your cover photo, but you can use other image sizes. If it doesn’t fit, you’ll have to drag it around to position it how you like. Now that you’ve got your basic photos in order, you should start to add some friends Facebook Friend Requests: Unwritten Rules & Hidden Settings Facebook Friend Requests: Unwritten Rules & Hidden Settings On Facebook, innocent mistakes can lead to drastic consequences. Novices face many stumbling blocks. But with our Facebook friend request tips, you can avoid unintentional punishment. Read More . Chances are that many people you know in real life are on Facebook, so you can search for them using Facebook’s search bar at the top of every page. If you’ve linked your email account when you created your Facebook account, you’ll also see suggestions from your contacts. Visit someone’s page, and click the Add Friend button to send them a friend request. They’ll have to accept it before you become friends. When they do, you’ll see a notification in the Friends tab on your notification bar. Speaking of which, this tab also includes People You May Know, which will update as you add more friends. It’s a great place to find more people, especially if they don’t come to mind right away. While your profile picture is vital, you can add lots of other information to your Facebook profile as well. Adding items such as where you went to school or where you work can help you find people you know and helps others to identify you easily. You might want to think twice about adding potentially sensitive information 9 Things You Should Never Share on Social Media 9 Things You Should Never Share on Social Media Be careful what you share on social media because you never know when something could come back and ruin your life. Even the most innocent posts could be used against you. Read More though. To add more info, visit your profile (click your name on the top bar) and click About. Then you can browse through the various tabs like Overview, Work and Education, and Family and Relationships. Mouse over anything you want to change and click Edit [Item] to change it. For each item, you can set the audience you want to share it with. These are universal Facebook icons A Guide to Facebook Symbols and What They All Mean A Guide to Facebook Symbols and What They All Mean Here's a quick guide to Facebook symbols and what they all mean, from the all-too-obvious to the odd-and-obscure ones. Read More , and help you prevent providing too much info. For example, you might wish to share your birth date and month with your friends, but prevent anyone from seeing the year you were born so they don’t know how old you are. Select the icon dropdown next to the item you’re editing, and choose the right audience for that element. 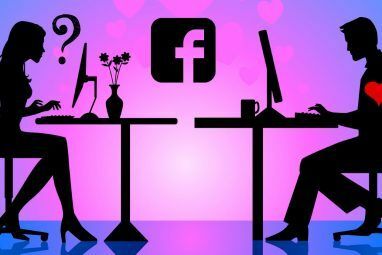 To test how your profile looks to someone else The 10 Best Hidden Facebook Tricks You Should Make Use Of The 10 Best Hidden Facebook Tricks You Should Make Use Of You might think you know everything there is to know about Facebook, especially if you’re a social media addict. Here are 10 tricks you probably don't know. Read More , click the three-dot button at the bottom of your cover photo and select View as… This shows what your profile looks like to the public. You can click View as Specific Person at the top of the page to see what a particular friend sees on your profile. 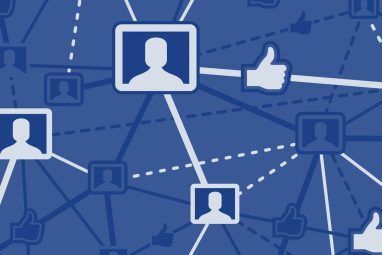 Facebook is built around sharing life with your friends How to Really Connect on Facebook and Social Media How to Really Connect on Facebook and Social Media Have we taken the "social" out of social media? If you feel like you don't have strong connections with people online, here's what you should do. Read More , and posting updates is the main way to do this. While viewing Facebook’s main page (the News Feed) or viewing your profile, you can click inside the Make Post box to create a status update. The most basic status updates only include text — just type out what’s on your mind and click Post to share. For a bit more flair, you can use one of the weird patterns below the text box to place your post on a background. This only works for short posts, though. Photo/Video: Add one or more images or videos to your post. Check in: Tag your current location to share what you’re up to. Feeling/Activity: Describe what’s going on. First, choose a descriptor like Thinking about, Watching, or Playing. Then, complete the phrase, using your own words or one of Facebook’s preset phrases, such as Thinking about > Someone special, Watching > Wonder Woman, or Playing > Basketball. Tag Friends: Add friends’ names to your post to share that you’re with them. This will allow their friends to see the post, even if you aren’t friends with them. GIF: Type a search query to add the perfect GIF GIFs, The Language Of The Web: Their History, Culture, and Future GIFs, The Language Of The Web: Their History, Culture, and Future Everything you ever wanted to know about the history of GIFs, how they've evolved, and their cultural impact and significance. Read More to your post. Sticker: Enjoy some modern-day clipart and add a cheesy sticker to your post. Ask for Recommendations: Ask your friends for the best businesses. We’ve covered all you need to know about this recommendation feature Facebook's Hidden Recommendations Are Awesome Facebook's Hidden Recommendations Are Awesome Facebook's recommendation feature is a great way to get advice from your friends. Here's everything you need to know about creating and answering recommendations. Read More already. Poll: Ask a question How to Create Social Media Polls and Quiz Your Friends About Anything How to Create Social Media Polls and Quiz Your Friends About Anything Creating polls to quiz your friends on social media is easy and fun. We'll show you the best services for collecting answers from your social networks. Read More , set possible answers, and specify how long you want the poll to last. Those who see the poll can vote and you’ll be able to see the results at the end. Note that polls can only have two answers, though. Support Nonprofit: Select a charity, and your friends can use the Donate button to support your chosen organization 7 Apps and Websites to Help You Give Money to Charity 7 Apps and Websites to Help You Give Money to Charity Give more money to charity and become a more engaged human citizen by using these 7 apps and websites. Read More . Answer a Question: Get a random question like “If I could spend the day with any athlete, I would spend it with…” and add your answer. Tag Event: Add an event to your post to let others know you’re attending. If you want to add several photos, consider clicking Photo/Video Album at the top of the status box instead. This lets you name the album, let friends contribute, order the photos, and more — which is great if they’re all from the same event. Make sure you have your photo privacy settings Facebook Photo Privacy Settings You Need To Know About Facebook Photo Privacy Settings You Need To Know About As with everything regarding privacy on Facebook, managing your photos' privacy settings isn't always easy. Read More in order. You can also use the Live Video to go live with your friends How to Stream Video From Your Smartphone or PC With Facebook Live How to Stream Video From Your Smartphone or PC With Facebook Live Facebook has another way for you to communicate with the world: via your webcam, which allows you to video chat directly to your audience. Read More . This requires you to have a webcam connected to your PC. As you scroll through your News Feed, you’ll see your friends’ recent posts. If you want to show your appreciation for something, click Like to give it a thumbs-up. Others will be able to see that you’ve done this. Facebook has added more reaction options What Are Facebook's New Emotive Buttons Really Like? What Are Facebook's New Emotive Buttons Really Like? Over the past few weeks I've been watching as Irish Facebook users reacted to, adopted and used the new emotive buttons. Here's what I found. Read More for when a Like isn’t appropriate. Mouse over the Like button for a moment, and you can react with Love, Laughing, Wow, Sad, or Angry. For instance, you can use Sad to show support for a friend announcing the loss of a loved once since a Like doesn’t send the right message. Click Comment to add your thoughts to the post. If you want your friends to see a post, click the Share button and choose if you want to share it on your own timeline, in a message, or on a friend’s timeline. We’ve talked plenty about interacting with your friends’ posts, but haven’t touched on another big part of Facebook: public pages. Companies or anyone with a brand (like MakeUseOf) can create a Page that isn’t a personal account. You don’t add these as friends Converting Your Facebook Profile to a Page: What Happens? Converting Your Facebook Profile to a Page: What Happens? If you're thinking about turning your Facebook profile into a page, you may be wondering what will happen. Let's go through the important changes that take place when you migrate. Read More . Rather, you can Like and Follow them to get updates. The best way to find some pages to like is by searching. Type the name of a website, band, company, or public figure you like into the search bar and see if they have an official page. If you see a blue check mark next to its name, that means Facebook has verified the page as legitimate. Click Like to add the page to your list of likes, which will also follow the page. If you want, you can also click Follow without liking the page. From now on, you’ll see updates from that page just like you see status updates from friends. The last major Facebook feature you must know is Facebook Messenger. It’s a messaging app, similar to WhatsApp or Telegram WhatsApp vs. Telegram: Which Is the Better Messaging App? WhatsApp vs. Telegram: Which Is the Better Messaging App? In the battle for the best messaging app on Android, who takes the cake: WhatsApp or Telegram? Read More . Click the Messenger icon in between the notification and friend tabs in the top bar to access it. Chose New Message to start chatting with a friend, or click an existing message to re-open it in a small window. If you want to use Messenger full-screen, click See All in Messenger to open the full Messenger page. Click a contact on the left sidebar or use the search bar above your recent conversations to find a friend. On the right sidebar, you can change settings for the current chat, including notifications, colors, and nicknames. Facebook Messenger holds a lot more than it first appears, so check out the best Messenger features 10 Facebook Messenger Features You Must Try 10 Facebook Messenger Features You Must Try We've done some digging and found even more features that could make Messenger more useful for you. Read More in your chats. Once you’ve got the basics down, you can get into some of Facebook’s other offerings. We’ll sample some of the most useful functions here, but there are many more that are less prominent. You’ll find links to all these along the left side of your homepage. Many are under the Explore header. Facebook Groups allow you to bring together people with similar interests. You might make a group for your work colleagues, a committee you’re on, or just a group of people who like memes 20 Popular Gaming Memes Explained: Barrel Rolls and More 20 Popular Gaming Memes Explained: Barrel Rolls and More Gaming memes are a huge part of internet video game culture. Here are 20 of the most popular gaming memes, where they originated, and what they mean. Read More . You can also use the Discover tab to find new groups 5 Awesome Ways to Discover New Facebook Groups 5 Awesome Ways to Discover New Facebook Groups There is no directory of Facebook Groups to browse through, so the best you can do is rely on recommendations of Groups to join or learn a few tips and tricks to discover new Groups. Read More that you might have an interest in. Visit the Groups home to see the groups you’re in or create a new one. In a group, use the tabs on the left to see its members, view basic information about it, or check out recent posts. If you create a group, you’ll need to specify a name and add some people to it. Use the arrows along the top to get a group suggestion, such as [Workplace] Friends or Family Group. Public Group: Anyone can view the group, who’s in it, and the posts in the group. Closed Group: Anyone can see the group and who’s in it, but only members can see posts. Secret Group: Only members can find the group (it won’t appear in searches) and see posts. Facebook has led the mobile gaming revolution, hosting hundreds of free and freemium games for you to enjoy. Visit the Games page to check some of them out. You’ll find casual favorites like Candy Crush Saga, Trivia Crack, and Words With Friends, along with plenty others. To start, we recommend checking out some of the best quick fix Facebook games 9 Facebook Games You Can Kill 10 Minutes On 9 Facebook Games You Can Kill 10 Minutes On Not everyone has time for epic quests. These Facebook games can give you a quick fix of fun in just a few minutes. Read More , along with the new Instant Games 8 Best Facebook Instant Games to Play With Friends Online 8 Best Facebook Instant Games to Play With Friends Online Facebook Instant games don't require a download, and you can even play them against your friends. Here are the best new Facebook Instant games to try on your phone or browser. Read More . One of Facebook’s recent additions, the Marketplace allows you to buy and sell goods with other users Facebook Marketplace Lets You Sell Your Old Junk for Free Facebook Marketplace Lets You Sell Your Old Junk for Free Facebook has launched Marketplace, which lets people buy and sell used items listed nearby. As a bonus, Facebook Marketplace is completely free to use. Read More . Jump over to it and you’ll see the latest offers in your area. You can use the top tabs to change how far away it searches, filter by category or price, or show only free items. Click a post to see pictures and other details that the seller has provided, and message them if desired. You can also save the post if you want to come back later. If you’ve got something you’d like to offload, click the Sell Something button at the top. Choose whether it’s a car or any other item, then add some basic information about the item including a category, price, and photos. When someone is interested, they can use the contact button to send you a message on Facebook. Remember to use caution when buying or selling in the Marketplace. Many of the tips for selling safely on Craigslist How to Safely and Profitably Sell Used Gadgets on Craigslist How to Safely and Profitably Sell Used Gadgets on Craigslist Selling used gadgets on Craigslist can be a scary proposition, both for your safety and your money-making prospects, but these tips will help you make the most of it. Read More apply here too. Facebook Events let you create and browse goings-on near you Never Miss An Event: Facebook Lets You Subscribe To Local Events Never Miss An Event: Facebook Lets You Subscribe To Local Events Would you like Facebook to let you know when great events are happening in your area? They will. Read More . The main page shows suggested events you might have interest in, along with those that friends have invited you to. Select an event to see its location, date and time, and any updates from the organizer. Choose Going, Maybe, or Can’t Go to RSVP for events you’ve been invited to. For a public event, you can click the Interested button to subscribe to updates without committing. Use the buttons on the right side to find events by category or date. You can also use the Birthdays tab to see who’s turning another year older soon Sync Facebook and Google Calendar to Never Forget Birthdays Sync Facebook and Google Calendar to Never Forget Birthdays Always forgetting birthdays? Don't worry. You can cheat by using Facebook in conjunction with Google Calendar. Read More . Click the Create Event button on the left to make your own. You can set it as Private, where only invited guests can see it, or Public, where anyone on Facebook can find it. Events are a great way to let Facebook friends know about a party or get-together without sending out physical invitations. We now move to some tips for getting the most out of your time on Facebook. Searching is one of the most important utilities you have on Facebook. If you can’t find something, just enter it into the search bar and see what comes up. This brings up a wealth of information, including People, Posts, Photos, Pages, Apps, and Events. That means with one search, you can find a new friend, jump to a favorite game, search inside groups, and more. We’ve shared search tips How to Search Facebook - and Find Just About Anything! How to Search Facebook - and Find Just About Anything! Facebook search is possibly the most powerful, under-used feature available to us all, but rarely will we use the function for more interesting searches. Try these. Read More (including some alternate search tools 5 Tools To Help You Find Anything In Your Facebook Timeline 5 Tools To Help You Find Anything In Your Facebook Timeline Where is that post I shared on Facebook?! Sound familiar? What many people don't realize is there's a far better alternative than endlessly scrolling down your or a friend's Timeline. Read More ) to give you an even better chance of finding what you’re looking for. Facebook privacy is a massive discussion, and there are tons of settings you can use to fine-tune what you share. Luckily, our complete guide to Facebook privacy The Complete Facebook Privacy Guide The Complete Facebook Privacy Guide Privacy on Facebook is a complex beast. Many important settings are hidden out of sight. Here's a complete look at every Facebook privacy setting you need to know about. Read More can show you everything you need to know. Facebook offers several settings that let you control security and other elements of your account. We’ve covered simple ways to keep your Facebook secure Secure Your Facebook With These 6 Simple Tricks Secure Your Facebook With These 6 Simple Tricks Facebook can be pretty scary when it comes to security, but with a few minutes and the right tools, you can keep your account rock-solid. Read More , along with how to block annoying invites Your Complete Guide to Blocking Facebook Invites Your Complete Guide to Blocking Facebook Invites But game invites can fill up your notifications. How do you stop them?! Hint: The answer does not involve posting a status update. Read More and how to fix common Facebook issues 10 Common Facebook Problems & Errors and How to Fix Them 10 Common Facebook Problems & Errors and How to Fix Them Facebook has a lot of problems and frustrating elements. Here are fixes for 10 of the most annoying Facebook issues and errors you'll come across. Read More . One of the most common issues among Facebook users is losing access to their accounts. Thus, it’s vital that you know how to check if someone else is using your Facebook account How To Find Out If Your Facebook Account Has Been Hacked How To Find Out If Your Facebook Account Has Been Hacked Given how much data we've added to our profiles, it's more important than ever to make sure you stay on top of Facebook's privacy settings. Read More . If you do find out that someone broke into your account, you need to act immediately 4 Things to Do Immediately When Your Facebook Account Is Hacked 4 Things to Do Immediately When Your Facebook Account Is Hacked Having your Facebook account hacked is a nightmare. Here's how to secure a hacked Facebook account and contain the damage. Read More and follow the steps to recover your account How to Recover Your Facebook Account When You Can No Longer Log In How to Recover Your Facebook Account When You Can No Longer Log In Learn everything you need to know about Facebook account recovery. Follow these steps to be able to log back in. Read More . But if you’d rather, you can also follow our guide to getting your account hacked What Not to Do to Get Hacked on Facebook, Instagram, or Snapchat What Not to Do to Get Hacked on Facebook, Instagram, or Snapchat Want to get your social media accounts hacked? Here are seven foolproof ways to make it easy for attackers to break into your accounts and take over. Read More . Unlike Twitter How to Use Twitter How to Use Twitter Twitter can be overwhelming at first, but we're here to help you make sense of it. Here's a complete guide to using Twitter and understanding how it works. Read More , there really aren’t any great apps for using Facebook on Windows, Mac, or Linux. You’re best off just visiting Facebook in your browser of choice. On your phone, it’s a different story. Both the Android and iOS versions of Facebook are infamous How Facebook Is Ruining Your Android (and What You Can Do) How Facebook Is Ruining Your Android (and What You Can Do) If you care about battery life, performance, or privacy, you're going to want to uninstall the official Facebook app and use one of these alternatives. Read More for sucking up your battery, using a ton of data, and requiring a lot of permissions What Are Android Permissions and Why Should You Care? What Are Android Permissions and Why Should You Care? Do you ever install Android apps without a second thought? Here's all you need to know on Android app permissions, how they've changed, and how it affects you. Read More . For most people, we recommend using an alternative app or just browsing the mobile website on your phone. It gives you most of the Facebook experience without all those drawbacks. For Android users, we like Swipe for Facebook. This enhanced version of Facebook’s mobile page regularly receives updates, features cool themes, and even has support for notifications. If you’re on iOS, Friendly for Facebook is a good third-party alternative. Facebook Messenger fanatics, meanwhile, should look at the best Messenger apps for both desktop and mobile 7 Best Facebook Messenger Apps for Desktop and Mobile 7 Best Facebook Messenger Apps for Desktop and Mobile Like Facebook Messenger, but want more flexibility? Don't worry, third party developers have your back. Here are the best Facebook Messenger apps you can get, apart from the official one. Read More . This isn’t an exhaustive guide to Facebook’s features, but it covers what you should know to make the most of your experience. Don’t get overwhelmed. Facebook regularly adds and removes features, and some part of “getting it” comes from using Facebook over time. But these basics should keep you covered for a long time to come. For some drastic changes, check out the best extensions for transforming Facebook 15 Extensions to Transform Your Facebook Experience 15 Extensions to Transform Your Facebook Experience From finding out who unfriended you to keeping to removing those annoying boxes in the sidebar, here are the 15 best extensions for a better Facebook. Read More and why deleting your News Feed might be a great idea Folks, It's Time to Delete the Facebook News Feed Folks, It's Time to Delete the Facebook News Feed It's time to get rid of your News Feed. It's more a distraction than anything else. Here's how (and why) you can delete it. Read More . And remember that social media can become addicting How to Do a Social Media Detox (and Why You Should Right Away) How to Do a Social Media Detox (and Why You Should Right Away) A social media detox might sound like a punishment; but if it does, there's a really good chance you need one. Here are the signs you need a detox and how to do it. Read More if you’re not careful. Did this answer your questions about how Facebook works? What other elements of Facebook are you unsure about? Leave a comment to let us know, and be sure to share this guide so others can learn too! Explore more about: Facebook, Longform Guide. Hi Greg, sorry to hear that you found it too complicated. I aimed to provide a simple-to-follow guide to Facebook's most important features with this. What parts were confusing for you? If you have never been on Facebook, then sign up and have fun learning. Little kids even join in Facebook and play around to learn. It is easy and interesting. So Join in Facebook and each baby steps you take and watch it everyday, it will be easy to understand how Facebook work. Reading so much here with information can be confusing, but you actually have to join in Facebook to understand better by doing something on Facebook. Learn and have fun playing inside the Facebook. Hope this help.